Let me just start out by saying that my Justin's Famous Hush Puppies are like no other hush puppy you've ever experienced, I can promise you that. My recipe was achieved by trial and error based off of the recipe from my favorite brand of cornmeal: Indian Head. (They don't have a website that I've been able to find.) So without further delay my gift to you this holiday season is one of my most cherished recipes. I hope that you and your family can enjoy this as much as I have. Some of you might plan on putting this recipe in a restaurant menu, which is fine, but all that I ask is that you call them Justin's Famous Hush Puppies. INSTRUCTIONS In a large bowl whisk together cornmeal, salt, baking powder, and sugar; set aside. In a small bowl whisk together egg yolk, vegetable oil and milk, then combine with dry ingredients. Add chopped onions and set batter aside. 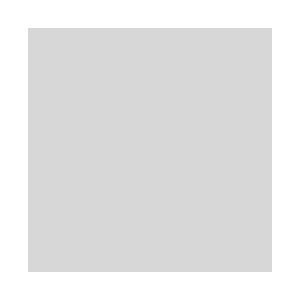 Bring oil to between 350 and 375 degrees Fahrenheit. You can conserve oil by using a medium saucepan which can typically fry 3-4 hush puppies at one time. Once the oil has reached the optimal temperature, it's time to work on the egg whites. Beat egg whites to stiff peaks with an electric hand mixer. (This is the most important part and it is what sets my hush puppies apart from all the rest.) Gently fold the eggs whites into the mix. (It is absolutely key to fold the egg whites into the batter just before frying to maximize airiness.) Scoop tablespoon or small ice cream scoop-sized dollops into frying oil. 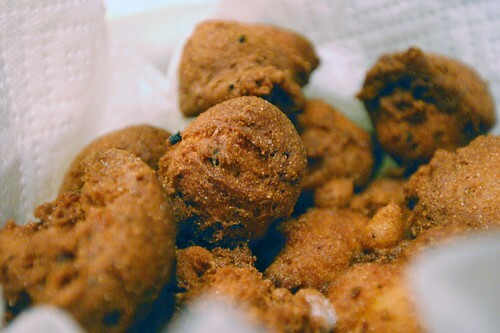 Hush puppies should cook for about 3-5 minutes until medium brown on the outside. Set fried hush puppies aside in a paper towel-lined bowl and sprinkle with sea or kosher salt. These hush puppies are sufficient on their own and taste great with hot sauce. Recipe can be doubled or tripled.When making larger quantities you will need to add more oil for frying as the hush puppies use quite a bit of oil while cooking.